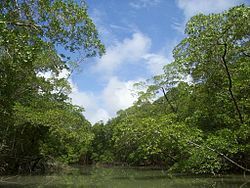 ^ Rainforest Concern.Why are rainforests important? 页面存档备份，存于互联网档案馆 Retrieved on 2008-03-14. ^ Michael Ritter. The Forest Biome. 互联网档案馆的存檔，存档日期2008-01-06. . 于2008年3月14日检阅. ^ Tropical Rain Forest. Glossary of Meteorology. American Meteorological Society. [2008-05-14]. （原始内容存档于2012-01-18）. ^ Myers, N. 1985. The primary source. W. W. Norton and Co., New York, pp. 189-193.